12:55am–#Bridgeport CT–#ctfire–Police officer on duty reporting heavy smoke coming from the chimney at Greene Homes Building 3 on Highland Ave. Sounds like another garbage chute fire again. 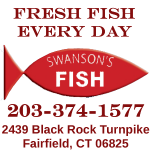 11:49pm–#Fairfield CT–Sacred Heart taking an early lead this year in the Allegedly Intoxicated Scoreboard 1-0 with an alleged intoxicated 18 year old male in Seton Hall. Fire and EMS on the way. 10:14pm-#Monroed CT–Report of a crash with injuries at Main Street and Crescent Place. First responders on the way. 2:03pm–#Stratford CT–First responders on the way to the Kentucky Fried Chicken on Barnum Avenue for a man down near the dumpsters. Uncertain if fowl play is involved. 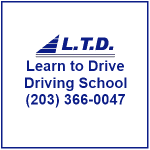 2:44am–#Fairfield CT–Police are on scene at Maritime Motors on the Post Road. They were dispatched by alarm with audio monitoring with voices. An open door was found upon arrival. So far first floor checks clear. K-9 from Milford has just arrived. UPDATE–Building is empty, K-9 tracks back out to the lot. 2:13am–Report of an accident in the 300 block of Patterson Avenue. First responders on the way. 1:57am–#Fairfield CT–A Romanock Road resident has called police that there are kids playing street hockey in the road complete with nets set up in the road…..a lawn chair set up in her yard as well. Lots of noise. What can go wrong with this plan? 9:44pm–#Bridgeport CT–Police are investigating a break in on Evers Street.